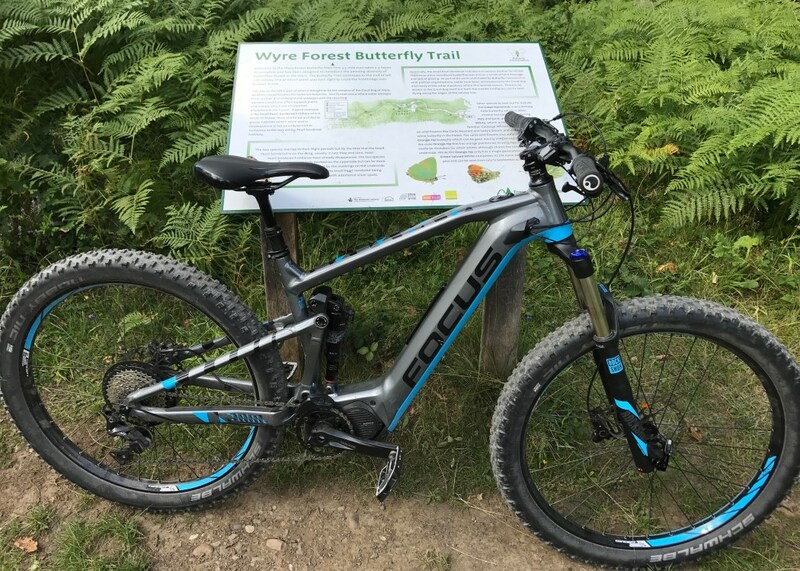 The sun was shining, the birds were singing, it had to be time to take out a full suspension electric mountain bike for a ride in the Wyre Forest, near Bewdley in Worcestershire. What beautiful scenery. It really is a lovely place to cycle. It’s also a very friendly place. Lots of like-minded folk, enjoying their favourite pastime on a gloriously sunny day. Full Suspension Electric Mountain Bike Rides are So Much Fun! The Wyre Forest has a great Visitor Centre where light lunches, nibbles and beverages are served all day. There’s lots to do and see as well as cycling..there’s even a Go Ape for the daring! With numerous trails each differing in length, you’re spoilt for choice. The only solution is to try them all (but not necessarily on the same day!). There’s lots to see and explore, with trails full of wildlife and a musty aroma that only a forest bursting with life can provide. Fresh from recent rainfall, the forest was alive and welcoming. There’s lots of ups and downs at Wyre Forest, some quite challenging if you know where to look. 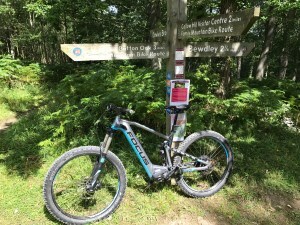 Thank goodness for full suspension electric mountain bikes! The ride started quite gently, but soon developed into a more exhilarating experience. Tight bends, rugged terrain and charmingly lit canopies from overhanging trees added hugely to the whole experience. Heading down towards Dowles Brook is where much of the gritty stuff can be found. Tight runs and uneven ground run parallel to the Brook, with steep climbs to escape. It’s challenging, but thankfully an ebike makes all the difference. It adds hugely to the enjoyment. The Focus Jam2 easily conquered all in its path.The bike soon got a tad mucky, but hey…that’s part of it and a small price to pay. Full suspension electric mountain bikes really are so much fun!Check out our full suspension electric mountain bikes. KTM Electric Bikes Available NOW!